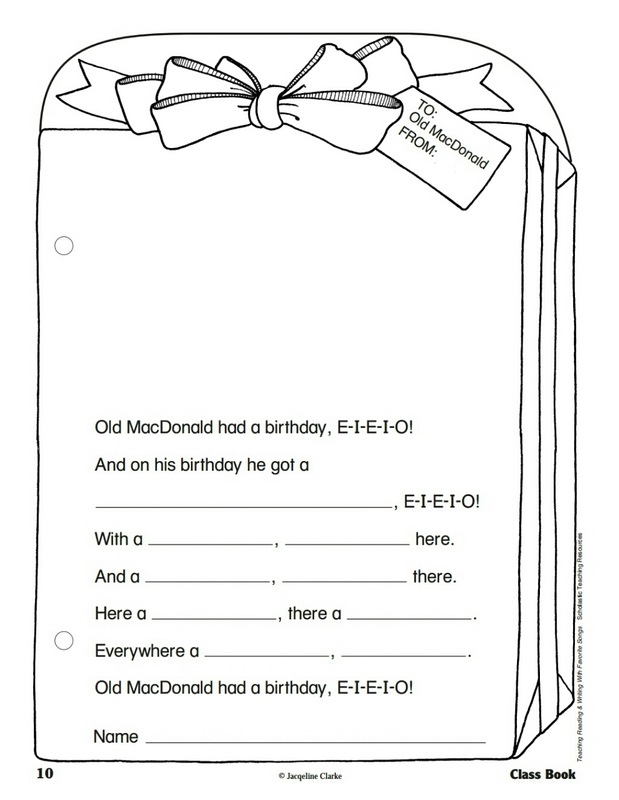 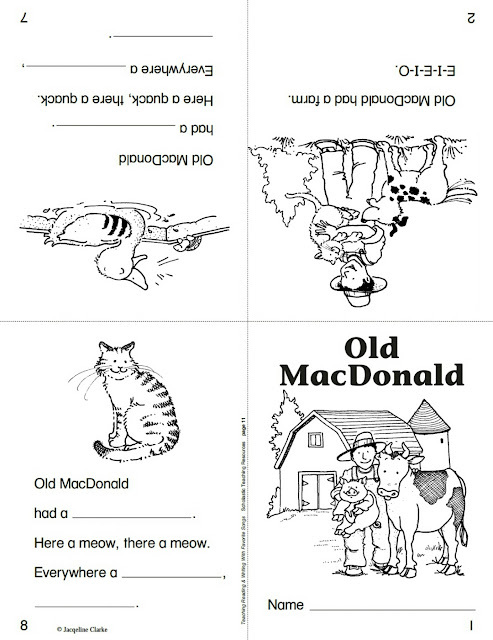 The activities for each song are divided into two sections: Develop Oral Language and Attend to Print. 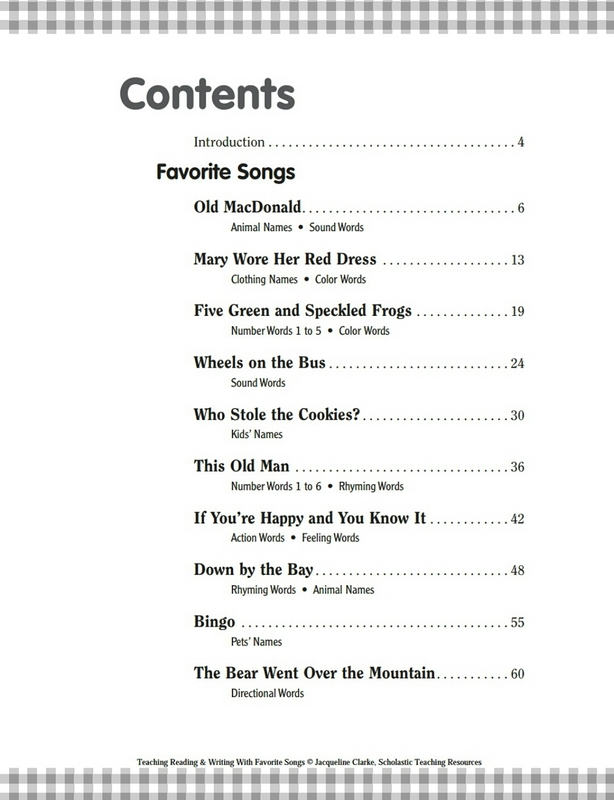 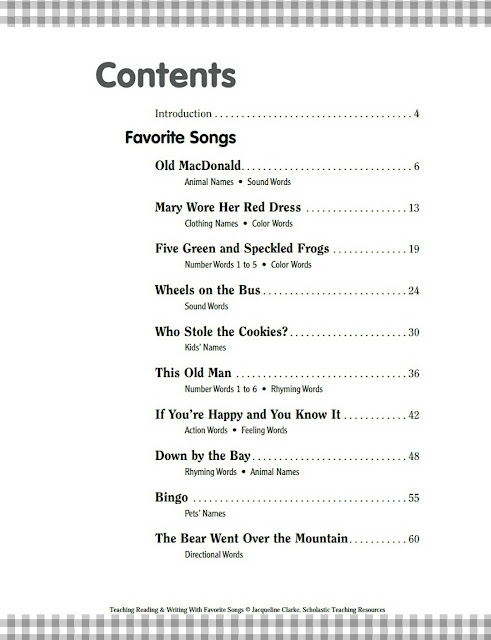 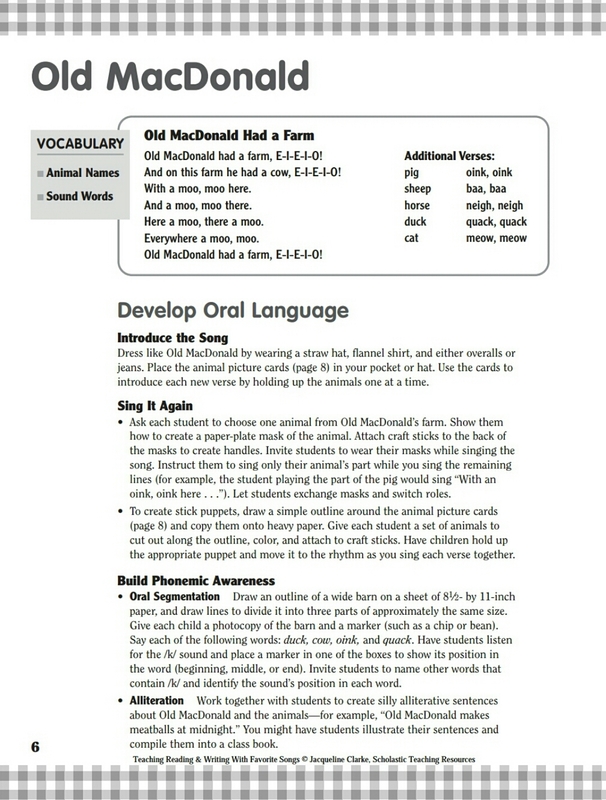 The first section includes activities for exploring the song orally. 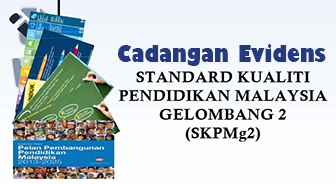 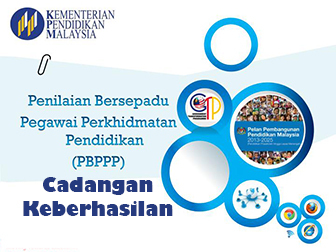 The second section describes reading and writing activities based on the written song lyrics. 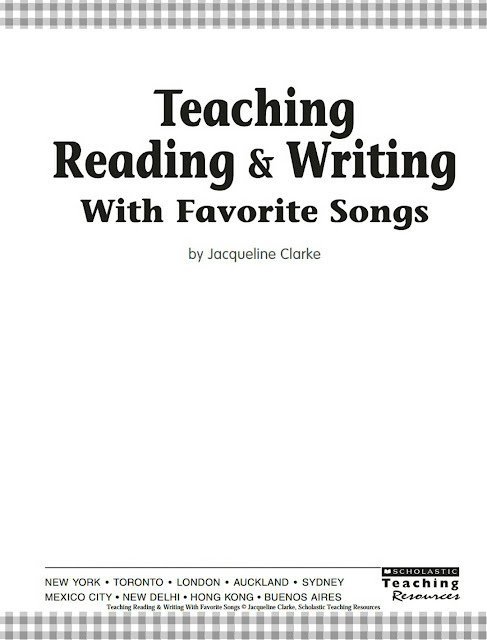 You’ll find ideas on displaying and teaching with pocket charts, as well as reproducible collaborative class books and read-and-write mini-books.